There are over 1,600 square miles of glaciers in our backyard. Welcome to your classroom. This is one of the finest mountaineering training grounds available, for all levels from beginner to advanced. Learning, practice and climbing time are maximized as we take advantage of the unique location of the Patagonia Frontiers base which provides direct and exclusive access to the mountains and onto the glaciers and peaks. 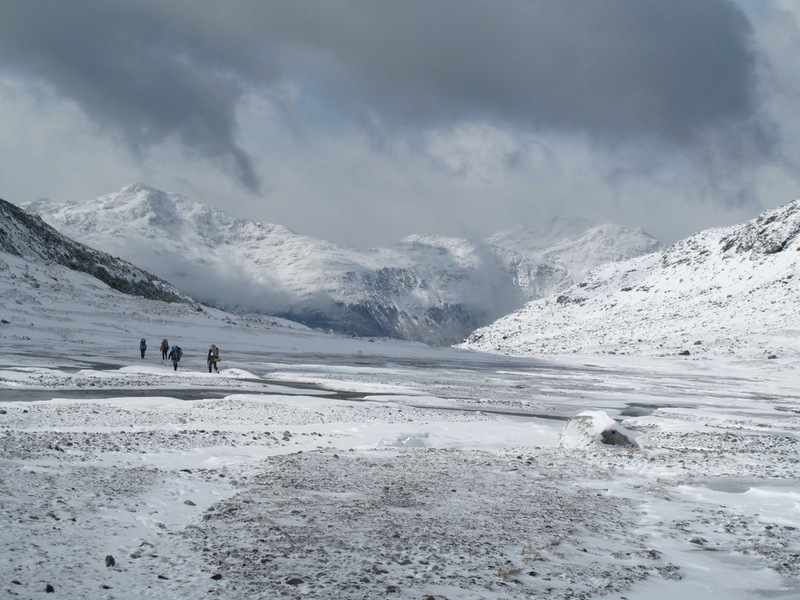 We provide in-depth training in all phases of mountaineering and expedition travel. There are ample opportunities to put your skills to use on these magnificent and varied peaks in the heart of Chilean Patagonia. Learning and ascent opportunities are plentiful, and we’ll match your skill level to the most appropriate training, summit and climbing goals. Our location has privileged access to the many surrounding mountains. These ranges contain a broad array of mountaineering opportunities, with levels of challenge ranging from beginner to expert. Think of a private ranch embraced on all sides by mountain peaks varying in similarity to both the North Cascades Mountains in the Pacific Northwest to the giants of the Alaska Range. 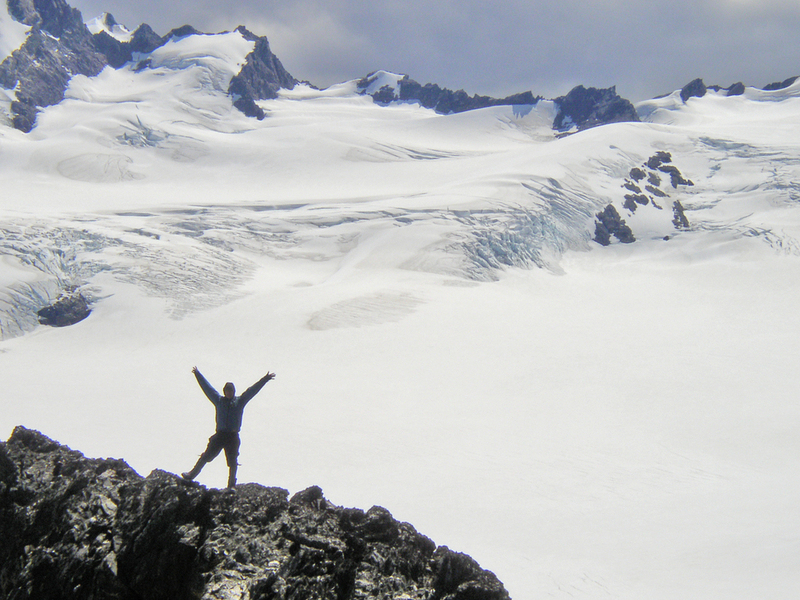 This gives you an idea of Patagonia Frontiers mountaineering. Additionally, the reverse seasons between northern and southern hemispheres means that you’ll have access to glacial mountaineering when North American opportunities are extremely limited. The courses are excellent preparation for an Aconcagua or Denali climb, Elbrus or other Northern Hemisphere climbs the following season. Graduates receive a thorough written evaluation detailing their performance on the course, the particulars of reviewed curriculum, capability levels, and suggested steps for continued development. Successful graduates may also request a certificate of completion signed by their course leader and the school director. Cordón Soler: This mountain range forms the southern border along the Patagonia Frontiers Wilderness Ranch. The range rises sharply from 200m/650ft in the valley to numerous summits ranging between 1800m/5904ft and 2200m/7216ft. Here, too, is the Paulina Icefield. More modest in scope than the enormous Northern Patagonia Icefield just up valley, but an excellent mountaineering classroom scattered with enticing summit opportunities. Cordón Contreras: These mountains form the northern border along the Patagonia Frontiers Wilderness Ranch. The Chilko River basin drains a series of six glacial cirques before flowing into Lago Plomo directly next to the Patagonia Frontiers base. Here, is our private road into the Contreras range and into its many glaciers and peaks. Summits range from 1800m/5904ft to 2500m/8200ft and many of the peaks such as Cerro Campamento, Cerro Contreras, and Cerro Horquetas are visible from the ranch. This range is also home to Hidden Basin, a obscure glacial bowl ringed with 360 degrees of mountains and offering unlimited opportunity to climb and to learn. Beginner Course: This course is ideal for motivated and fit beginners and for those climbers who wish to review or enhance their skills. This course is specifically designed to increase the participant’s technical knowledge and skills in all aspects of snow, glacier and alpine mountaineering, and to establish mountain and expedition wilderness skills that will serve as a solid base for future mountain endeavors. The course will develop educated, self-reliant climbers with the ability to evaluate, mitigate and manage subjective and objective mountain hazards. You will develop technical mountaineering skills, practice Leave No Trace principles, learn leadership and communication techniques, and apply risk analysis and judgment. Intermediate Course: This course is designed for previous mountaineering course graduates or those climbers with a similar experience level. After a skills review segment, we establish a base camp from which to attempt a series of glaciated peaks and mixed, alpine routes. The setting is impressive; a camp perched on the end of a long, rocky ridge jutting into the center of an extensive glacial basin. We use this camp for our base as we match the best routes and summits to the teams' abilities and goals. 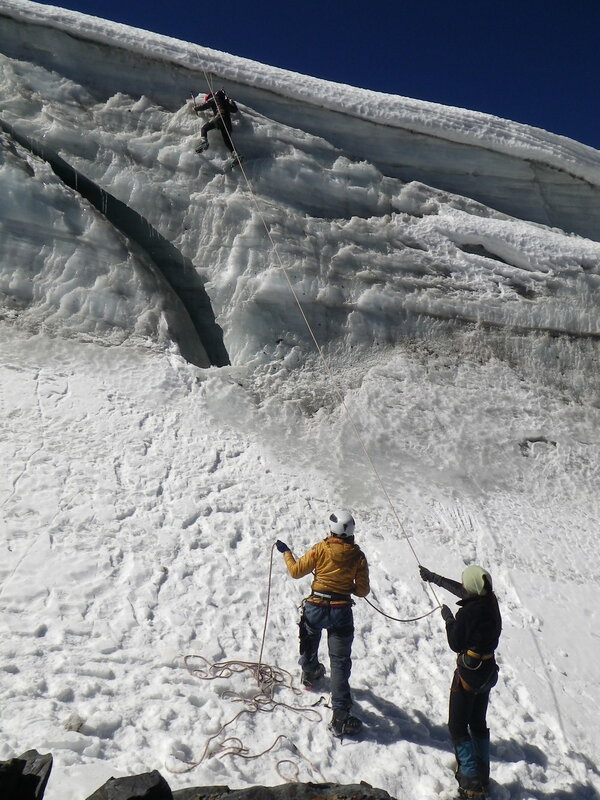 Our aim for all climbs on this expedition is to provide advanced skills practice and broad exposure to a variety of mountaineering challenges and summit objectives. 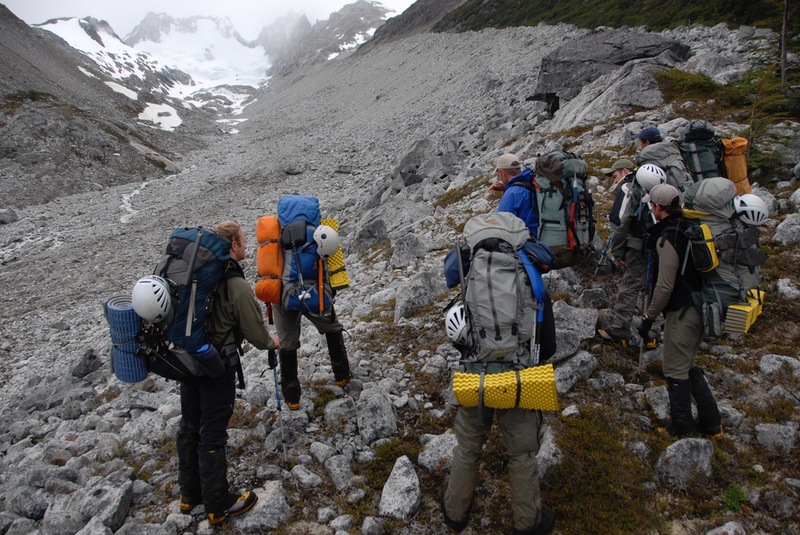 Advanced Course: This course is custom designed depending on previous mountaineering experience. *Individualized course lengths are available for all course types.